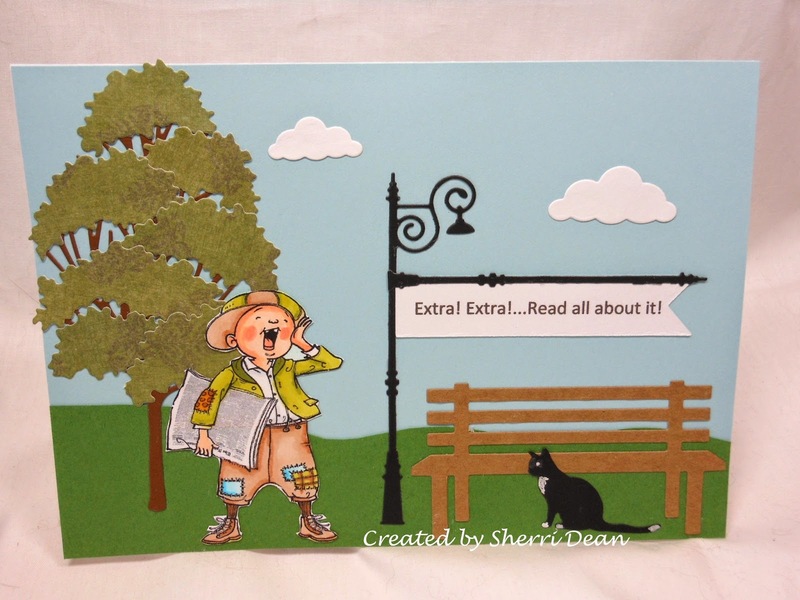 Dies R Us: Read all about it! I hope you are all having a great week & ready for a birthday card & a great idea for displaying a sentiment! Poppy Stamps Antique Lamp Post, Impression Obsession Cat Die Set, Impression Obsession Bench, Dee's Distinctively Tree Base 2, Dee's Distinctively Tree Toppers, Memory Box Puffy Clouds, and Poppy Stamps Classic Ribbons. I originally intended to put only the beautiful antique lamp post in this scene, but when I realized I had no clever way to add the sentiment, I got creative! Cutting another lamp post, I trimmed off the light at the top to create an "arm" I could hang my sentiment from! That is the beauty of dies! They are so easily trimmed to create endless versions according to your needs. I hope I've given you some ideas today. Be sure you visit all the other wonderful design team members too! And be sure to check out the Dies R Us Challenge Blog for a chance to win a gift certificate to the fabulous store! Until next week, happy creating!! If only I could color like you do. Your coloring so is awesome and you always know the perfect die to use. I hope DiesRUS knows how much I spend because if you.